Everyone has their own unique travel style. For some, it matches their personality, and for others, their travel style may reflect closer to their values and beliefs. No matter what walk of life you may be from, it’s important to cherish the experience of travel and not to take our beautiful planet for granted. Whether you are traveling as a part of a destination wedding group, or on a solo adventure, it is important to be mindful of ways to be eco-friendly. Oftentimes, being at an all-inclusive resort is a true luxury and can lead many of us into a spiral of feeling spoiled and carefree. We’re here to give you a reminder to be conscious of your actions, and the easy steps you can take to consider yourself an eco-friendly guest at an all-inclusive. 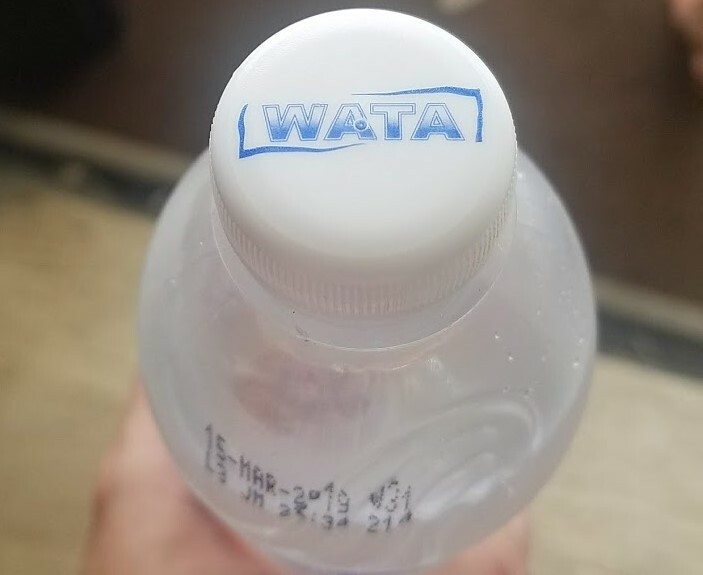 Don’t waste your water, drink up! Oftentimes, it’s so easy to gulp down half a bottle of water and leave it out on the nightstand for the housekeeping staff to take. If you’re heading to the beach in the morning, pack up any unfinished water bottles. Or, combine your water bottles so that you don’t mistakenly have 4 half empty bottles thrown out. Did you know? Iberostar Resorts & Spas have begun reducing the amount of water bottles provided to guests. Moving forward, if you request water at the pool or beach, you’ll receive refreshing filtered water from a special water tap found at all bars and restaurants. Reduce the number of times you request housekeeping visits. Housekeeping is truly such a luxury at an all-inclusive resort. It’s great feeling to come back to your cool, clean room after a long day at the swim up bar. While housekeeping is a gift, and also provides quite a few jobs within the resort, it is also one way to reduce energy and goods to be eco-friendly. Think of the water, cleaning products, and personal toiletry products that will be saved! Hang your towels back up. That’s right, you heard me, hang those towels back up! If you love housekeeping services and just cannot part with this experience at an all-inclusive, try to take baby steps. The most impactful way to begin is to re-use your bath towels. Just think, do you grab a new towel every time you shower at home? The answer is likely no. Feel good about thinking of all the water and electricity saved by not adding to the massive laundry list the resort has. Participate in an environmentally friendly activity. Plenty of resorts take part in environment conservation. If you’re looking to get your hands dirty while enjoying your all-inclusive, you won’t have a problem. 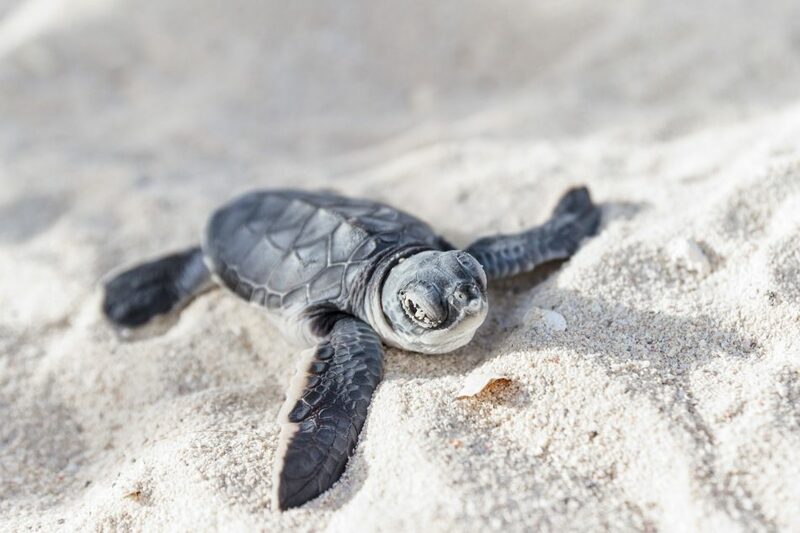 Many resorts in Mexico and the Caribbean have Sea Turtle Conservation and Release Programs. Whether you are on a romantic getaway, or traveling with little ones, this activity is an experience of a lifetime! This may be one of the easiest! If you’re like most, you know sunscreen is a must anywhere in the Caribbean. Do your part by investing in biodegradable sunscreen. Biodegradable sunscreen has removed the chemicals and oils that are bad for the marine life. If you love the ocean, the coral reef, and all of the animals within, biodegradable sunscreen is the way to go. Did you know? Many tours, excursions, and theme parks in Mexico and the Caribbean are now making biodegradable sunscreen a requirement. Sounds silly, right? Wrong! Bring your cup with you to your all-inclusive, you won’t regret it. Bringing your own tumbler for cocktails will reduce the number of cups needed to be washed, which saves water. In addition, it’s important to note that the resorts in Mexico are working hard to eliminate plastic straws. Bringing your own tumbler might mean you have your own reusable straw to use too! If you’re not a cocktail person, consider bringing your own travel mug for coffee, fraps, and lattes. You’ll reduce the number of paper cups and lids, and also have more room for a bigger size! Did you know? It takes up to 200 years for plastic straws to decompose! This concept can be easily overlooked. When most people think of an all-inclusive resort, they aren’t thinking of a resort that is also sustainable or eco-friendly. 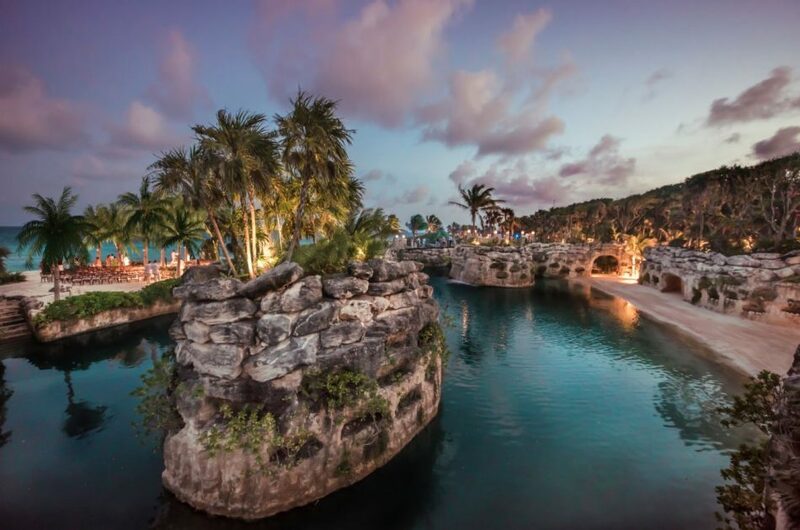 For destination wedding groups, we particularly love Hotel Xcaret. 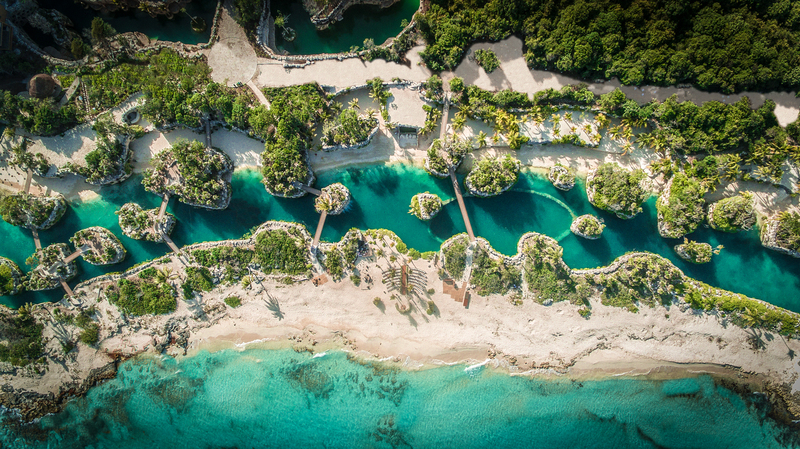 Hotel Xcaret was the very first resort in Mexico to be awarded the EarthCheck Certification in Planning and Design. Sandos Caracol in Riviera Maya is another fantastic choice. Sandos Caracol is Travelife Gold Certified. They provide daily eco-tours as a part of their included activities, and in certain room categories, the water is heated using solar panels! For more eco-friendly resorts, check out this Funjet Insider blog.